The rochet is a white vestment that is typically worn by bishops in the Roman Catholic church. 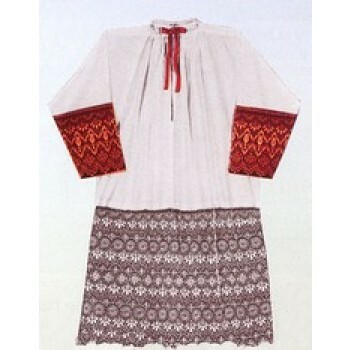 The rochet is similar to a surplice, except the sleeves of the garment are significantly smaller. 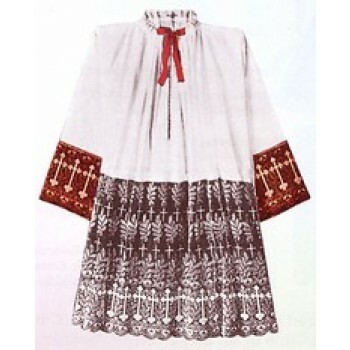 A traditional rochet is long enough to extend to below the knees and the sleeves and hem are often made of lace. Some Anglican churches also use the garment. In the Roman Catholic church, the Pope may grant the right to wear a rochet to people besides bishops, particularly canons of cathedral churches. It is not a sacred vestment and may be not used as a substitute for a surplice. The garment is worn over everyday dress at Mass and it may be used at choir services. Matthew F. Sheehan offers different styles of clergy rochet garments to choose from. Memorial labels are available on the designs, which make them an excellent gift idea for an influential religious leader. The labels may be personalized with 2 lines of up to 20 characters each, which is plenty of space for a special message. Matthew F. Sheehan has been in business since 1907 and is a leader in providing the finest quality religious garments. Our convenient online ordering system makes it easy to browse our rochets whenever you please. Order your favorite style today and enjoy free shipping when you spend $100 or more.